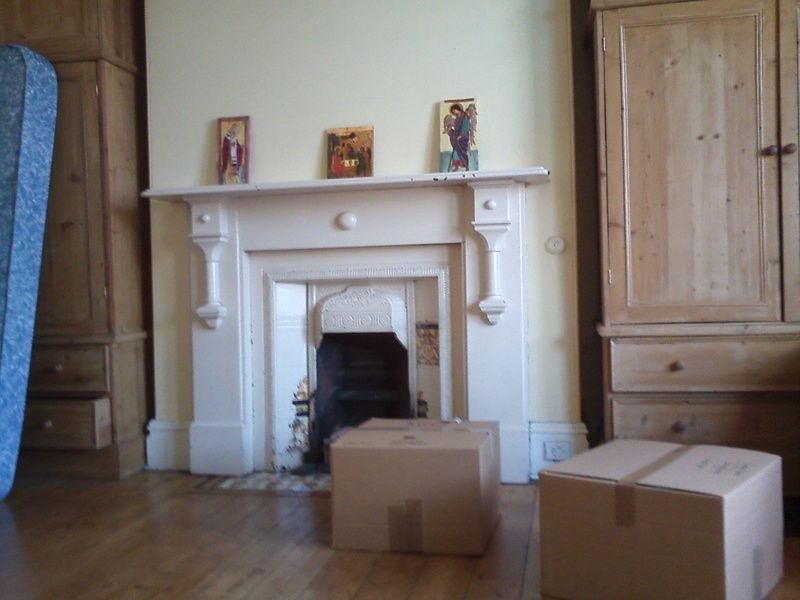 Well we’ve been in our new house a fortnight and we’re s l o w l y getting sorted. We’ve had a quote for a new roof that would make you choke on your dinner, but thankfully the plumbing issues were (relatively) minor, as are the electrical problems. What can I say? In an old house these things are part of the ‘character’. Two weeks in and, despite there having been flooding nearby, we now have central heating, hot water and, as of a half hour ago, a brand new cooker! I like camping, but it wears a little thin trying to live the camping life in your home Having said that, we have made good use of the bread-maker, slow cooker, microwave and halogen oven, skills which I’m sure will come in handy as we endeavour to lessen our energy consumption. After all, it’s a journey, not a race. The new cooker is A-rated for energy efficiency, has a double oven so we can choose the appropriate size to use and is British made, so not too bad on the environmental front (by which I mean it didn’t travel from China). We have dreams of solar panels, biomass stoves, growing our own fruit and veg, etc., but, for now… we’re ok. This entry was posted in Family, General, Reduce and tagged carbon footprint, Eco friendly, Environment, Ethical, Family, Moving house, new beginnings, Reduce, Reduce electricity. Bookmark the permalink.